But understanding the importance of each of these keys to generate significant income is paramount to the prosperity of your candy business opportunity. The business of selling candy is very competitive. Everybody and their Uncle want to make their candy making hobby a candy making business. Easier said than done. However, you have a secret ingredient for being hugely successful: the Internet. A key to being successful is getting your product exposed to as many people as possible. The Web is the answer. Please see “Effective Marketing” below. So, what’s the road to travel? Say you are an expert at making a chocolate covered brittle. It’s crunchy, delicious and all your friends and relatives crave for you to make some for them. That’s a good start. In the marketplace it is very difficult to make money from just attempting to sell only one product. Your costs are virtually the same for the marketing of one product as for six or ten. So you should figure out how to vary your flagship product idea into several similar products. Of course there are almost unlimited candy ideas you may also think of. The point here is when starting your candy making business please be sure to expand your horizons to explore the big picture. For the BEST Gourmet Chocolate you'll ever make, see the end of this page. 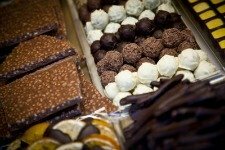 Hand Made Gourmet Chocolates from your Kitchen! My mission is to Pay It Forward. I will assist you for free as you consider starting any online or offline business. Please just click on my photo above if I may assist you. Consistency in making your product batch after batch is a key ingredient to success. When you start your candy company an objective you have is to build a reputation for your brand. If your product(s) is good, then making it to exact standards is very, very important. To be off one eight of a teaspoon on one ingredient or to have the cooking temperature and time vary from batch to batch is a no no. 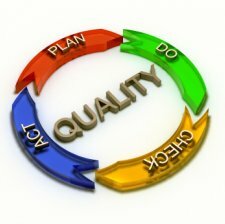 Quality assurance is not cheap. You will need to explore buying excellent candy making equipment and an excellent digital candy thermometer. After all is said and done, you may need about $5,000 to $7,000 to get your business started right. Cutting corners will be to your detriment. Using the above example of a chocolate covered brittle as your base product, it is always better to present your products as upscale and to position them in the market place for the discerning buyer. First, your retail prices will reflect a solid margin for your efforts. There is no sense in having your business unprofitable. An excellent margin gives you opportunities to vary your marketing efforts to see which ones work best for you. Second, it will cost you a fair amount, when starting out, to design and have made candy wrappings and candy boxes. A high quality 4-color presentation of your product’s packaging goes a long way to appealing to potential customers. Your candy making business will initially attempt to get boutique shops to carry your product line. This is usually easy to do. Third, you will not make a significant return on your efforts until you develop an ”excellent” business website. Thousands of entrepreneurs, including me and over 40,000 others, use Solo Build It to build their own business website. SBI holds your hand every step of the way. Absolutely no experience is needed or required to build a super "business" website for your candy making business. Or, if you are still searching the Internet for the website building system that best meets your needs please be sure to ask the right questions to select the best system for you. How to Make Candy Bouquets for Fun & Profit: Lana Glass offers and outstanding "how to" ebook on the making of beautiful candy bouquets that sell. Fully, 287-pages complete with photos, this is recognized as a must have resource for the aspiring candy bouquet business owner. I personally have not found a better source for making "really good" chocolate. My wife concurs. Lynn Hawks has a real winner here. Chocolate lovers know this is the real deal!